Greg Jones is the managing editor for Motorcycle & Powersports News. He graduated from the University at Albany, State University of New York with a degree in journalism. He currently lives in the Cleveland, OH area. 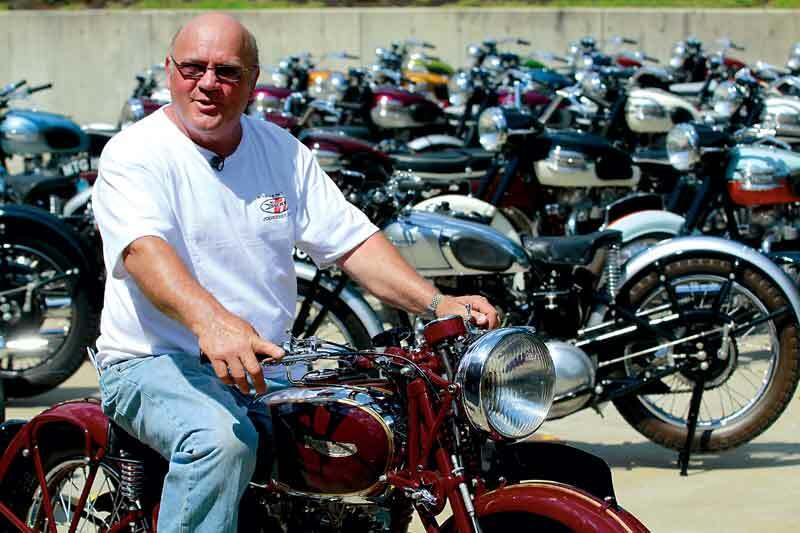 If you know Bobby Sullivan or have ever seen his Triumph collection at the Sullivans Inc. headquarters just outside of Boston, you know he is one of the biggest Triumph enthusiasts out there. His love for Triumph motorcycles stems from his early racing days at dirt track and flat track events. 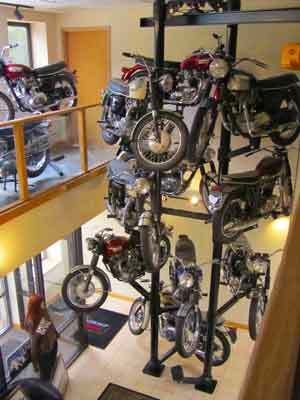 Bobby started Sullivans by noticing a need for air filters for those Triumphs and sourcing the parts. It didn’t take long before friends and competitors were asking Bobby to get them parts, and Sullivans Inc. was born. Founded in 1972, Sullivans somewhere along the line transitioned from air filters into the on-body product distributor it has become today. Sullivans’ earlier years as a helmet distributor led the company to pick up HJC Helmets, one of Sullivans best brands, and to this day, the only helmet brand it carries. “One of the biggest things that ever happened to Sullivans was back in 1985 when it picked up the HJC line and they’ve had it ever since,” says Steve Blakeney, marketing director, Joe Rocket. Sullivans’ move to carry HJC Helmets has been a key part of the business, and HJC has been the number one global brand of helmets since 2005. “Helmets are a key part of our business and the only helmets that we sell are HJC helmets,” McDowell says. From left to right: Joe Rocket Ballistic Adventure, Atomic High-Vis and Phoenix ION jackets. Bobby and the owners of the two other distributors for HJC are in many ways the founders of HJC here in the U.S.
Sullivans started distributing HJC in 1985. The helmet company has been a No. 1 brand for years. Aside from HJC, Sullivans’ ace in the hole is the Joe Rocket brand. Joe Rocket has led Sullivans to completely new heights of success over the years. Sullivans for the longest time was purely a distributor, but Joe Rocket changed all of that. One of the main reasons for that move was to cut out the middleman. The overseas manufacturer, Joe Rocket ownership in the U.S., Sullivans, and the retailer each took a cut before product worked its way over to the consumer. Today, Sullivans has become even more streamlined due to direct contact with its manufacturing and in-house designers. As a result, the Joe Rocket product line has gone more to a core line of products such as the Atomic, Phoenix and Velocity jackets. Today, Sullivans has two other warehouses besides the Hanson, Mass. facility – one in Reno, Nev. and the other in Alabama. That growth coincided with that of the Joe Rocket and HJC brands, as well as other related brands the company brought into the portfolio. Being able to produce these products for any rider regardless of what they ride is the trick. Sullivans places emphasis on product features and pricing, which is also reflected in its marketing. Customers today are faced with so many different apparel options that it is crucial that these consumers can separate your products from others. One of the things that sets Sullivans apart from others in the industry is how it does business, and that starts with its people and its pedigree. That attitude trickles down to everyone at Sullivans. The company is made up of a real tight-knit group of people who live, eat, sleep and breathe powersports, and the company treats its dealers the same way. The marketplace is ever-changing and the industry has been through some tough times, but it’s a testament that Sullivans is still here and staying focused on the on-body goods. “I don’t see us deviating away from that,” McDowell concludes.